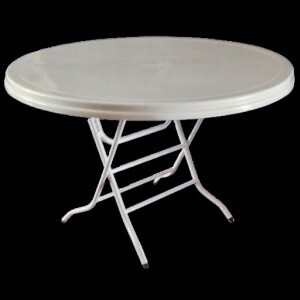 one of our most popular hire tables. Part of our exclusive Pipee range of event hire furniture, these tables are durable, lightweight and ideal for outdoor use. The waterproof resin top is easy to clean. The legs fold for easy transport and are both strong and durable.